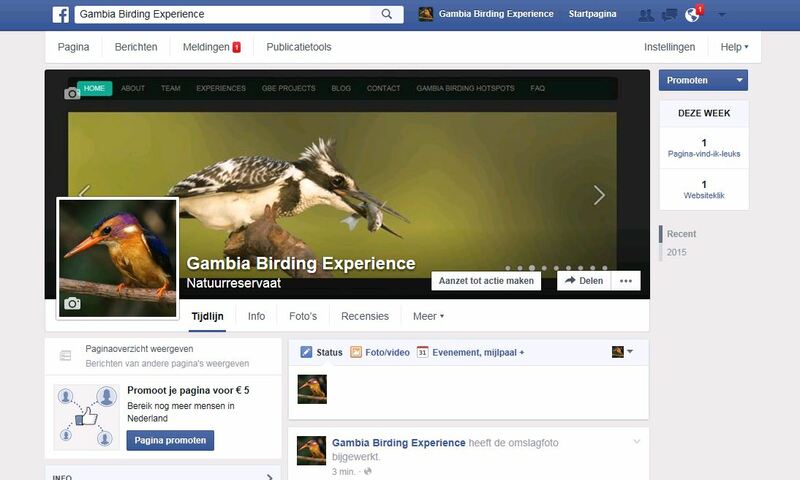 Project #2 - Local bird hides the Gambia Birding Experience way. As we went to follow the blue print trip set out by Foday we also visited the Abuko Nature Reserve with a photo hide. It was a great way to see some of the smaller birds up close and some others we only say there. Everywhere in the Gambia you find those wooden locally techniques build shadow shelters. For Gambia Birding Experience it will mean we will have more options to refresh our experiences over the coming years so customers can come back and see new birding hotspots. As Foday his local community is Pirang our lead by example photo hide wil be situated there in the Pirang Bonto Forest. If the hide si finished and actively getting nice bird species we could decide to pay it a visit o there first experience November 2016.